Click the blue links to be taken to the corresponding tutorial. 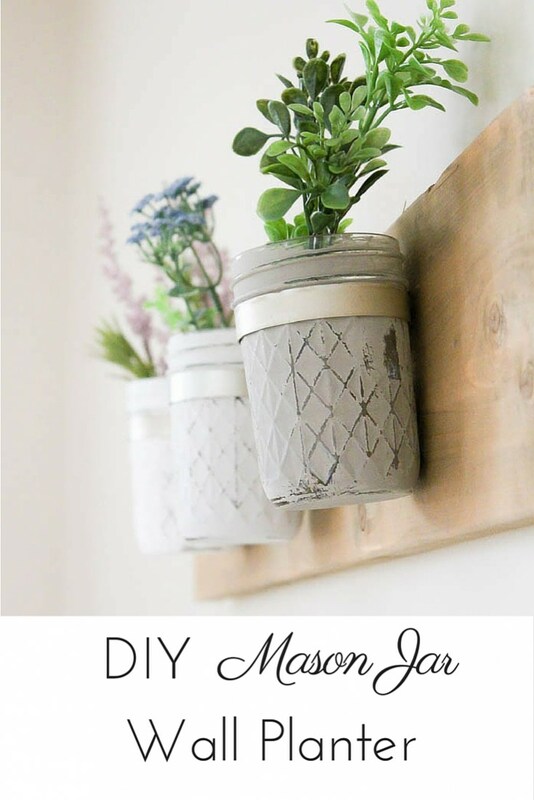 Kristi, a self-proclaimed mason jar hoarder brings spring indoors in these repurposed mason jars. 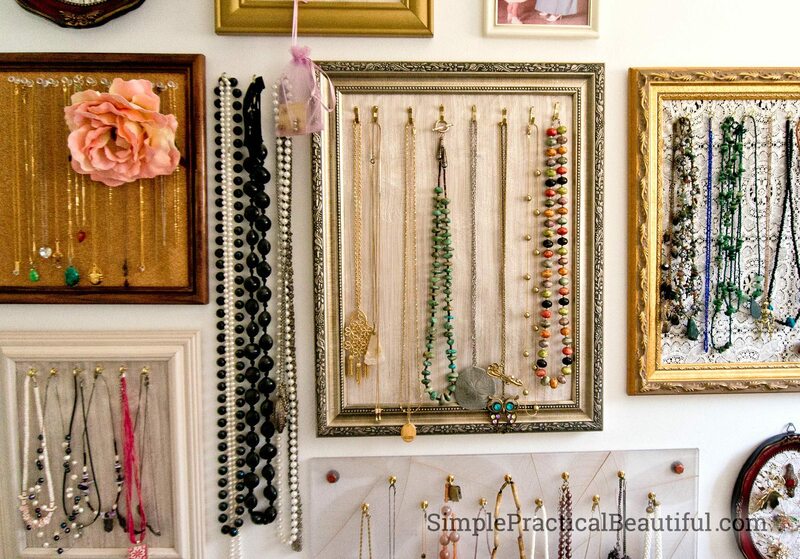 The next best thing to wearing your jewelry is displaying your jewelry! Rebecca shows us how to hang jewelry artfully using repurposed picture frames. Click over to see all the supplies needed to achieve this look. Love these repurposed teacups! Beverly provides the full tutorial on her blog, and no, she did not break any cups during the project. Click over to see how she made these adorable pendants. 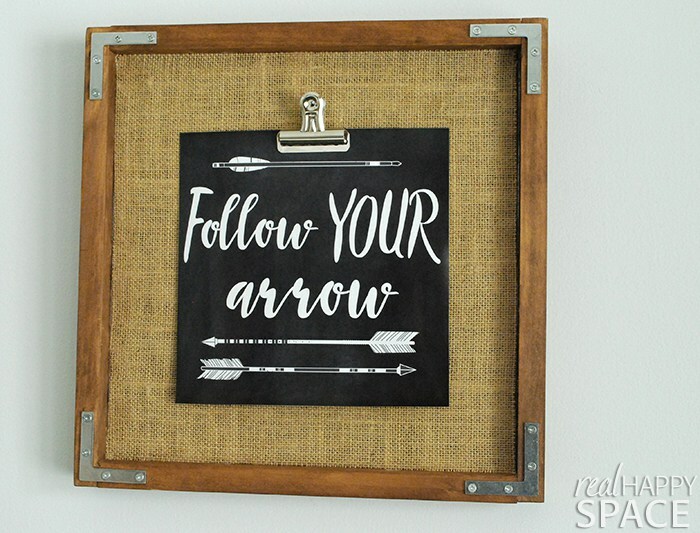 Suzy repurposed scrap wood to make this DIY Square Clip Frame. 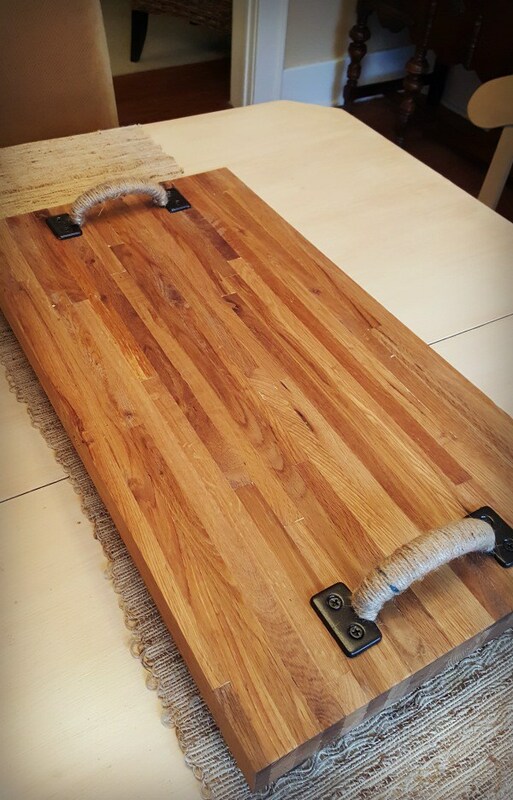 Julie had some leftover butcher block from a previous project, and she put it to great use by making this serving board. I love how she added twine to the handles. 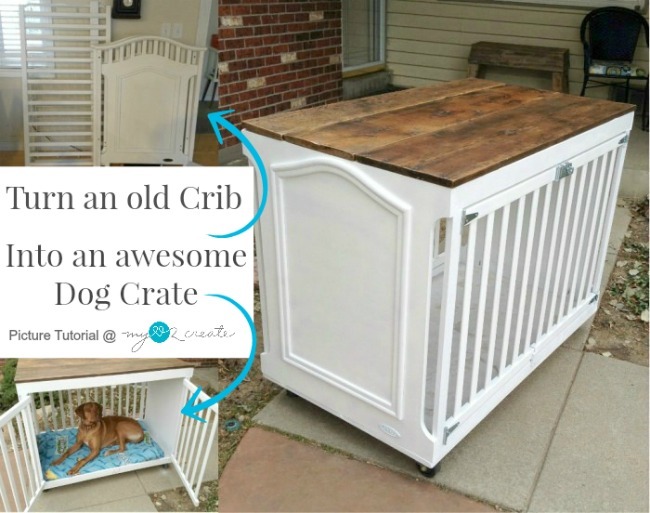 Mindi repurposed this old crib into an amazing dog crate! Full tutorial on her blog. 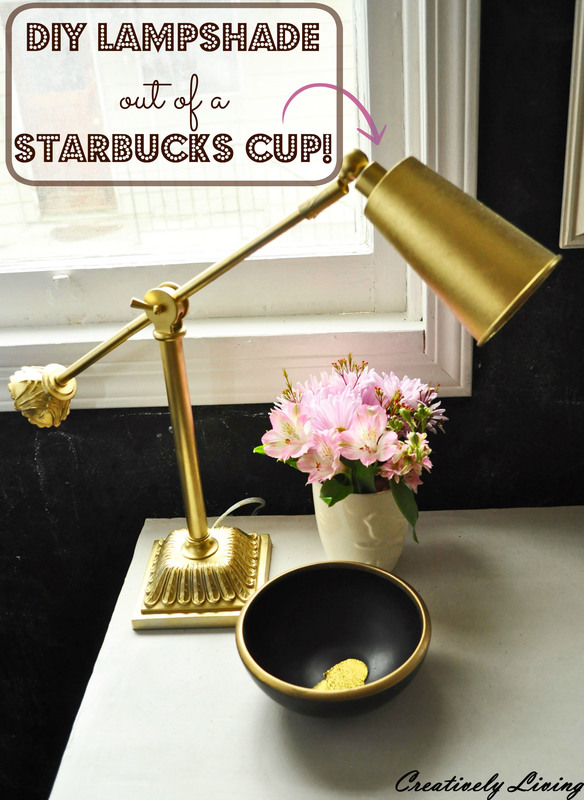 A repurposed Starbucks cup into a lamp is very creative! Katie wanted a similar lamp that was out of her budget, so she created her own! These DIY plug-in sconces are made from pendant lights! 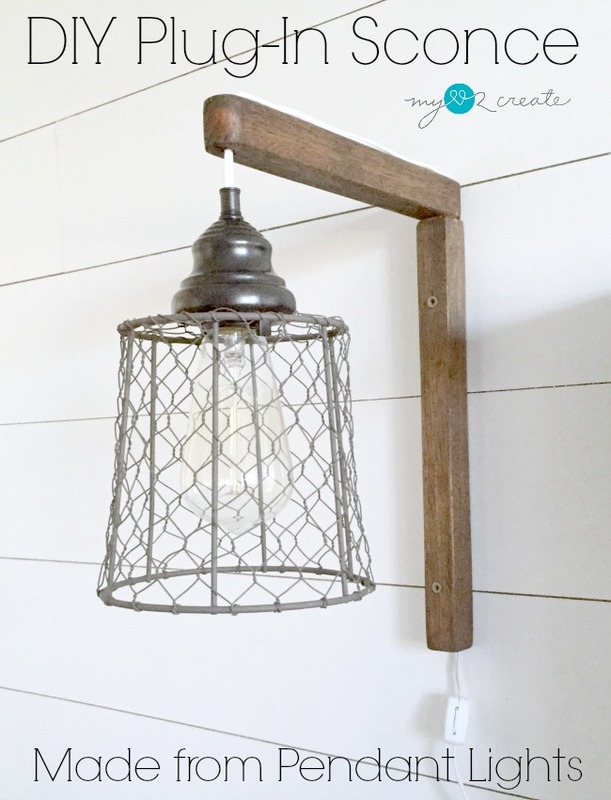 Go see how Mindi repurposed a fixture she didn’t like into a sconce that she LOVED. 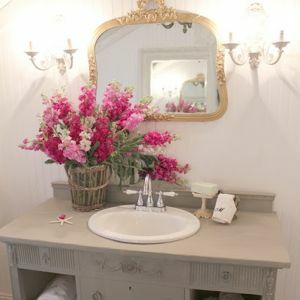 Her site is full of posts about repurposing items! 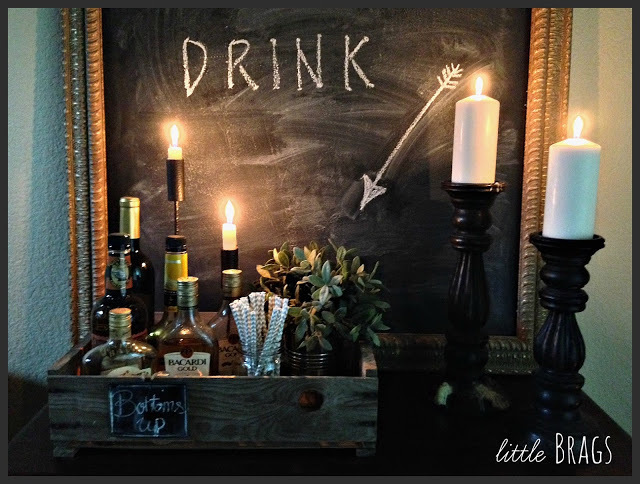 Christine repurposed an old crate into a bar caddy. 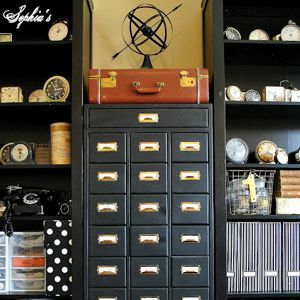 She has lots of cute repurposed projects on her blog. If you liked this post, then I think you will also enjoy my We Create Pinterest board! Follow Home Stories A to Z’s board +We Create on Pinterest. The dog crate idea from a crib is fantastic! Love it! These are awesome that you put together!! I hate throwing this away and to make them into something pretty again just puts a smile on my face. Thanks for sharing!! 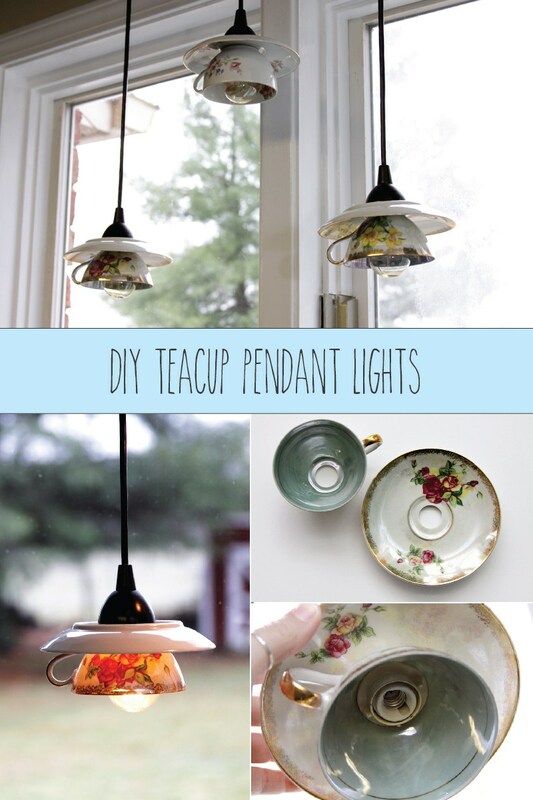 Love the Tea Cup Pendant Lights! So Glad I Signed Up! I see teacup pendant lights in you near future. Thanks for the ideas! I love all these ideas, so inspiring! 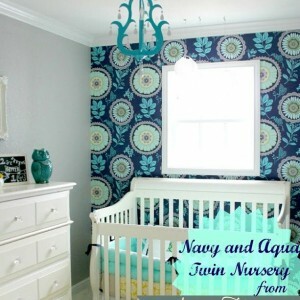 Thank you so so much for including my crib to dog crate and my DIY plug in sconces!! Yay! Pinned! Your crib to dog crate is brilliant Mindi!! Thank you so much for sharing my jewelry gallery wall! And there are so many other great upcycling projects here too. 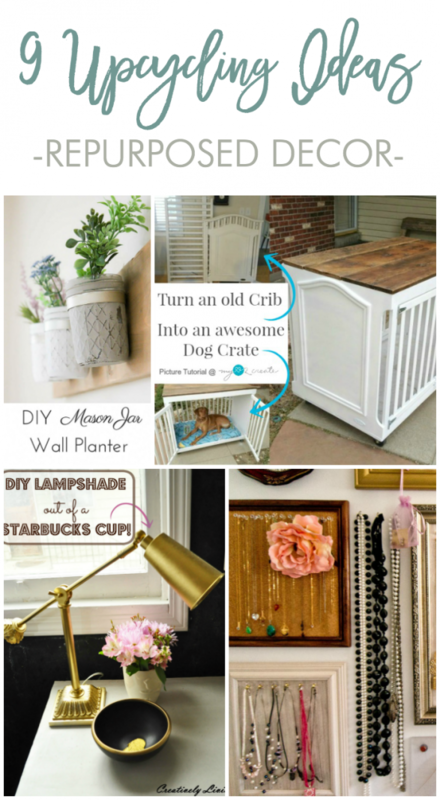 I love that cup repurposed into a lamp shade, and that crate made into a caddy. Lots to pin, thanks! Loved it Julie! Thanks for linking up!